We know … We never keep a regular time for the newsletter. We are improvisers and love surprises! We hope you do too because this newsletter is full of them. 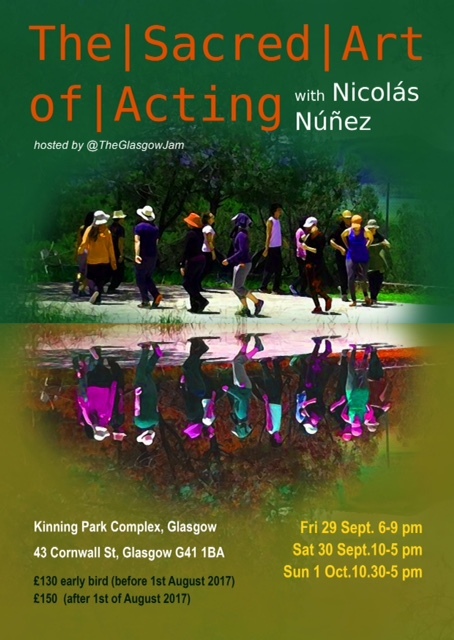 We are delighted, honoured and humbled to be hosting Nicolás Nuñez, an international and world leading theatre and movement practitioner (see flyer below). 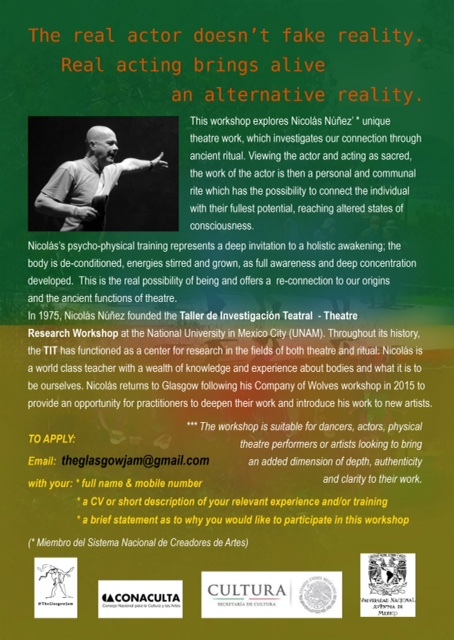 He will be working with us on a weekend intensive for 3 days. Tickets are going fast and the early bird booking closes on 1 August. Get your place soon! We have made it very affordable (£130!) and the group is small so you can make the most of your time with such an eminent practitioner. Not to be missed! In October, we are delighted to be hosting Dominic Snyder’s exhibition ‘Jam’ at the Glad Café in Glasgow. There is some more information below (as well as a beautiful preview picture). Keep your eyes peeled for details of the private view. Dominic is the artist who drew our logo and, yes, you’ve guessed it, we will be unveiling a new colour of t-shirts at the opening. These will be a limited edition so make sure you get yours! Last, we are over the moon to be hosting a class and jam at the Beacon Arts Centre in November, thanks to our wonderful friend and dancer Gail Sneddon. Penny and Laura will lead a one hour class followed by a jam on Saturday 25 November in one of the most beautiful dancing spaces in the whole of Scotland. Make sure you put it in your diary. Don’t say we did not give you notice! We told you, we like surprises. See you in September, if not before! Friday 29 September---6-9pm / Saturday 30 September---10-5pm / Sunday 1 October---10.30-5pm --- KPC --- £130 (Early bird before 1 August) / £150. 'Jam' is derived from engagement with @TheGlasgowJam, Glasgow’s hub for contact improvisation. 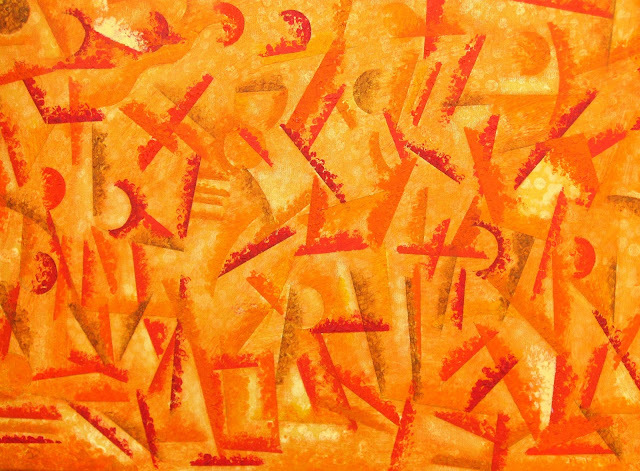 It is the result of an interest in drawing within a context of live dance and movement. The work represents an intense and sustained period of exploratory and experimental drawing as well as subsequent developments from these drawings in a variety of media.